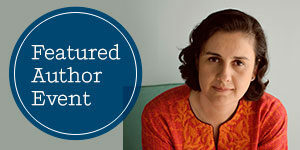 Riverhead author Kamila Shamsie has won the 2018 Women’s Prize for Fiction for her novel, HOME FIRE, it was announced at a ceremony in London on Wednesday, June 6. This annual award, now in its 23rd year, celebrates excellence, originality and accessibility in writing by women throughout the world. “In the end we chose the book which we felt spoke for our times,” said Sarah Sands, chair of the Women’s Prize panel of judges. “HOME FIRE is about identity, conflicting loyalties, love and politics. And it sustains mastery of its themes and its form. 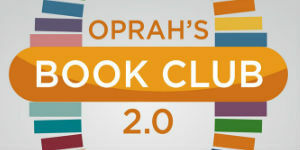 It is a remarkable book which we passionately recommend. “There are no small themes here … To humanize the big political stories that we are talking about, of terrorism, and to see it from the inside – the subtlety and the nuance and the idea of people being tested, what it means to be British or what it means to be a Muslim – it felt ‘of now’ ... And she does it so well.” Ms. Shamsie said of her award win: “It’s lovely. It’s a slightly out of body experience. It will take a while to sink in.” Congratulations to Ms. Shamsie and everyone at Riverhead Books. 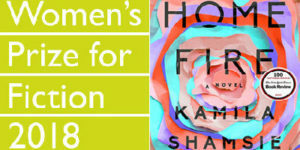 HOME FIRE, the new novel by Riverhead author Kamila Shamsie, was recently longlisted for the 2017 Man Booker Prize, and Ms. Shamsie will discuss her book at New York City’s Asian American Writers’ Workshop on Monday, August 21 at 7:00 p.m. The event is free and open to the public. The New Yorker’s Rozina Ali will moderate the event, which also includes author Hirsh Sawney, addressing the turbulent political landscape for South Asian families. HOMEFIRE tells the suspenseful and heartbreaking story of an immigrant family driven to pit love against loyalty, with devastating consequences. Sophocles’s classic tragedy Antigone is the starting point for Shamsie’s novel, which probes political tensions in the War on Terror and the way it splinters Muslim families in the West. 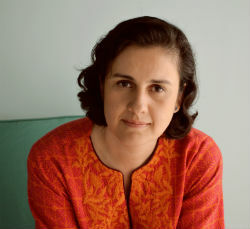 Kamila Shamsie was born in Karachi, Pakistan. She has spent equal amounts of time in London and Karachi, while also occasionally teaching creative writing at Hamilton College in New York. 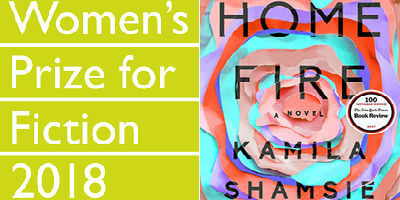 Now residing primarily in London, HOME FIRE is her first novel since becoming a British citizen in 2013. She was shortlisted for the John Llewelyn Rhys Award in the UK twice, received the Prime Minister’s Award for Literature in Pakistan, was selected as one of Orange’s “21 Writers of the 21st Century,” and won the Patras Bokhari Award from the Academy of Letters in Pakistan. 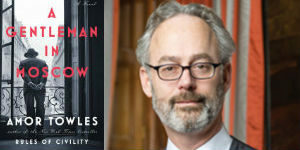 To add this Author Event to your calendar, click here. Shamsie will also be presenting her book on Wednesday, August 23 at 7:00 pm at the Community Bookstore LLC in Brooklyn. Click here for details. 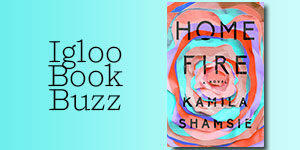 This week’s Igloo Book Buzz, HOME FIRE by Kamila Shamsie, was shortlisted for the 2017 Man Booker Prize and published by Riverhead Books on August 15. Suspenseful and heartbreaking, this is the story of an immigrant family driven to pit love against loyalty, with devastating consequences.